– Tested with latest version of WordPress and BuddyPress. 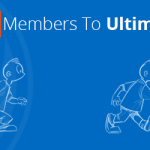 – WordPress /BuddyPress / Membership members can be import. – WordPress users extra/custom fields can be mapped with the account. 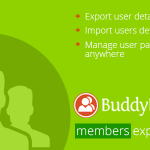 – BuddyPress members extra profile fields(xProfile) can be mapped with the account. – All type(check-box, radio, select, multiselect) xProfile fields can be import. – Existing users account can be update. – User password can be set from CSV file. – Different password to different user. – xProfile fields default visibility maintain. 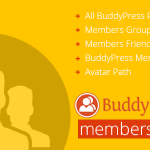 – Bulk Update BuddyPress Group Membership. – Bulk Update members and friends mapping. – BuddyPress Member Type Support. 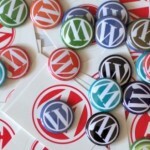 – Bulk update members from WordPress to BuddyPress. – Mapping of members and groups can be done. – Members AVATAR can be upload. Avatar will be re-size to BP default avatar size. – 3 sample CSV file present to help you to create CSV file. – Can import data other than English. – Must have database backup before importing users/members. – To update the existing users you have to check the check-box ‘Update existing users’. 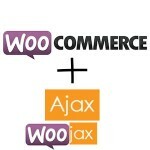 – First line should contain only fields name including WordPress default fields. – For BuddyPress xProfile fields name should be as same as the name of database table column name. Mean if you go to any xProfile field in edit mode the ‘Field Title’ value should be the column name in CSV file. – In CSV file member group id(s) column name should be ‘member_group_ids’. Before importing members all group should be created and in CSV file provide the group id(s) separated by double colon(::). – Check the check box(Update existing users) if you want to update the existing users/members. – Example csv file will be present in plugin package. Within 7 days full money back possible if this plugin unable to import users in your WP database and our team could not help you out.